I am very happy to tell you that Gov. 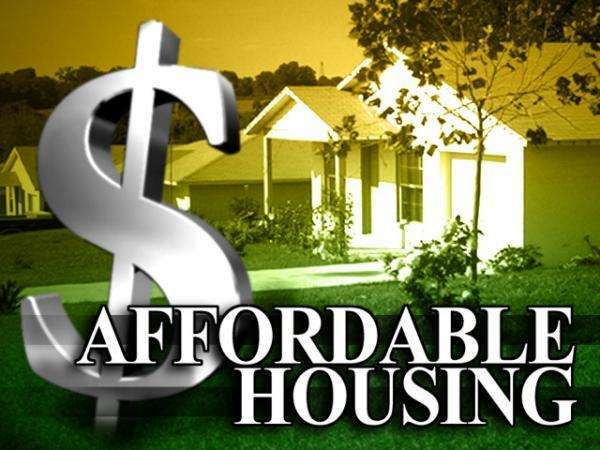 Dannel P. Malloy and Housing Commissioner Evonne M. Klein today announced that nearly $28 million is being awarded to support the development of affordable housing in New Britain and across Connecticut. The money will play a huge role in helping to create, rehabilitate or preserve approximately 200 units of affordable housing and focus on expanding access to transit-oriented development, creating new veteran’s housing units, and adding supportive housing for those who are living with disabilities. In New Britain, the state will provide up to $1,976,000 to Tunxis Road Associates, LLC for the Columbus Commons project. The project will consist of the construction of 14 townhouse rental units in two buildings on a currently underutilized property on a main city thoroughfare. The site has easy access to highways and is a short distance to the CTfastrak Downtown New Britain station, governmental offices, shopping opportunities, and other amenities. The project will serve a range of incomes and will also include market rate units to ensure a vibrant mixed-income development. The state also will provide up to $2,145,000 to the Friendship Service Center, Inc., to assist in the construction of 11 efficiency and one-bedroom apartments in a three-story building on North Street in New Britain. The Friendship Service Center will prioritize renting to chronically homeless individuals and maintain a preference for veterans for two units. Tenants will be able to receive supportive housing services through the Friendship Service Center. The site is within walking distance to the CTfastrak Downtown New Britain station as well as the CT Transit bus system. The City of New Britain has committed construction financing of over $250,000 and the project is also supported by The American Savings Foundation. Affordable housing is critical to creating vibrant communities that attract families, workers, businesses and private investments, and I applaud Governor Malloy for making this happen.